Escape to Costa Rica at Dreams Las Mareas! It’s #TravelTuesday and we can’t wait to share some beautiful, new photos from one of our favorite travel destination: Costa Rica! 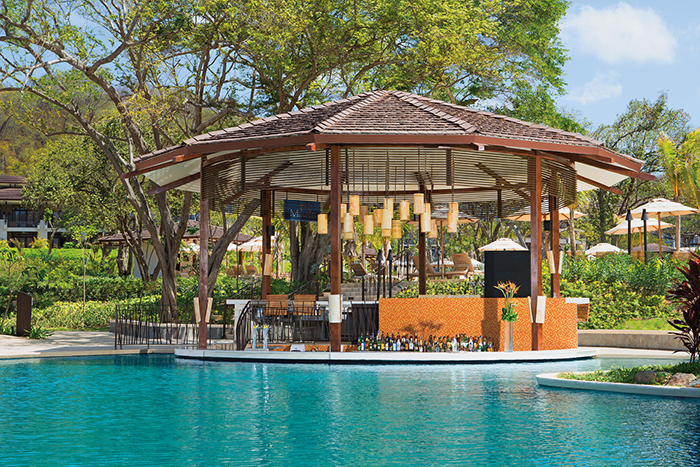 Dreams Las Mareas Costa Rica is the newest vibrant beach getaway for couples, families and singles to enjoy all the inclusions of an Unlimited-Luxury® escape in a privileged location. Located on an expansive palm-studded beach and surrounded by lush green mountains and jungles on Playa El Jobo in the Guanacaste region of Costa Rica, guests of all ages enjoy an action–packed vacation featuring watersports, land activities, and swimming pools while sunbathing or laying under a thatched palapa. Continue the fun into the evenings with live nightly entertainment, outdoor bars and lounges and so much more! 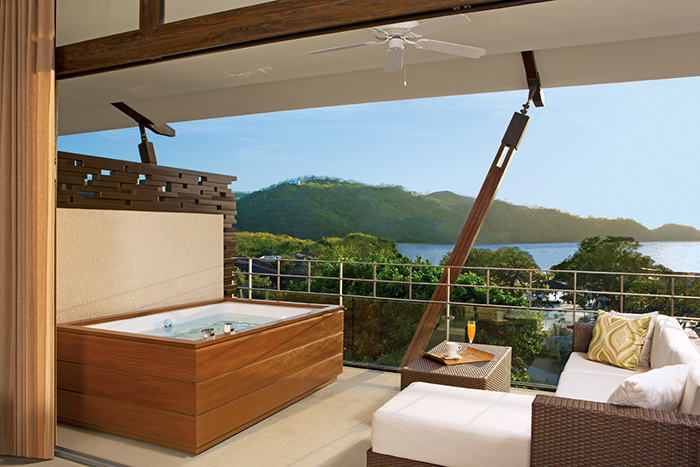 The view from a Preferred Club Junior Suite Terrace at Dreams Las Mareas Costa Rica. 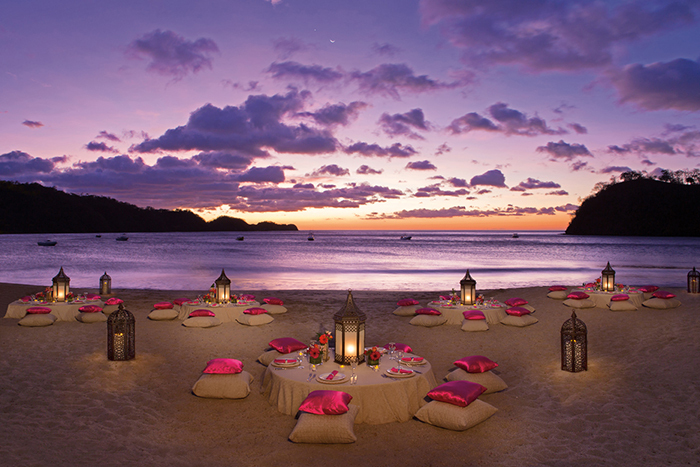 A stunning beach dinner set-up for your dream wedding at Dreams Las Mareas Costa Rica. At Dreams Las Mareas, guests can enjoy well-appointed amenities of Unlimited-Luxury® where nearly everything is included. Amenities include spacious suites, daily refreshed mini-bar with soft drinks, bottled water, juices and beer, 24-hour room service and complimentary wireless internet and local/international calling with Unlimited Connectivity. The Barracuda Restaurant at Dreams Las Mareas Costa Rica. 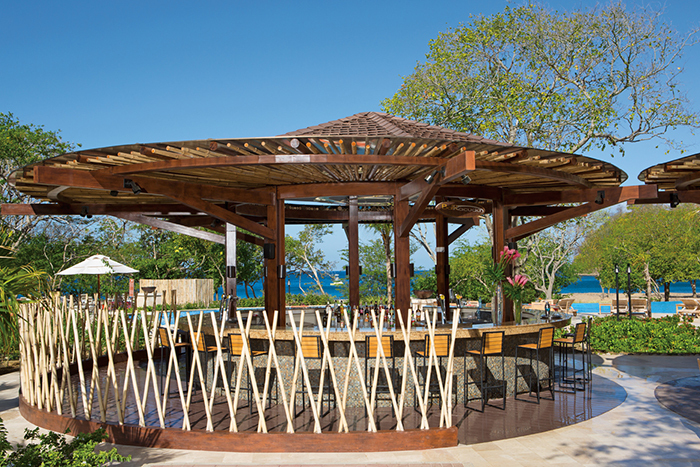 The Manatees Pool Bar at Dreams Las Mareas Costa Rica. 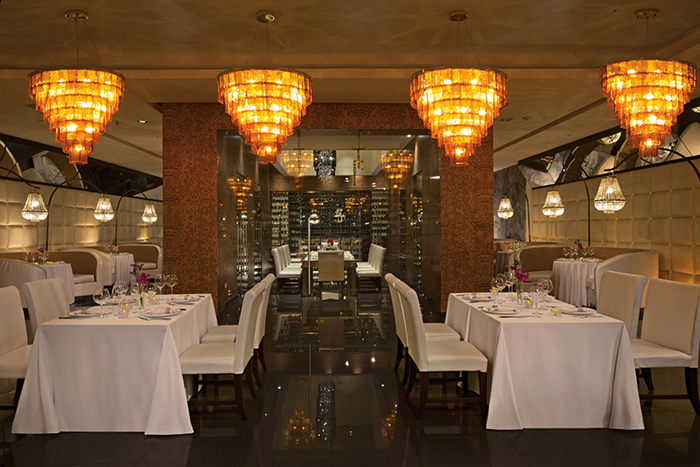 Guests at Dreams Las Mareas will also enjoy full breakfast, lunch, dinner and snacks each day at five à la carte restaurants, a buffet, a café, and a grill all with no reservations required. Unlimited international and domestic top-shelf spirits are offered at seven festive bars and lounges along with unlimited natural fruit juices and soft drinks – you can even enjoy wait service at the pool and beach! Portofino Restaurant at Dreams Las Mareas Costa Rica. 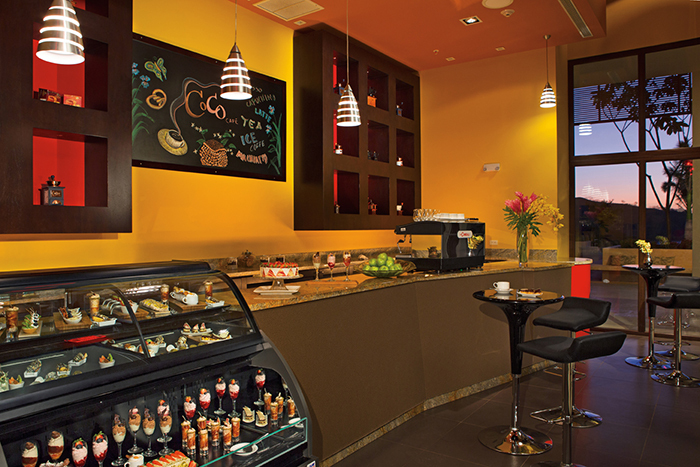 The Coco Café at Dreams Las Mareas Costa Rica. The fun doesn’t stop there! Guests can take part in endless daytime activities and live nightly entertainment. Your little ones can even join in by spending time at the Explorer’s Club for kids or the Core Zone Teens Club. What are you waiting for? Plan your Costa Rica getaway today at Dreams Las Mareas! This entry was posted in Dreams Las Mareas, Dreams Resorts & Spas and tagged #TravelTuesday, beach, Costa Rica, resort amenities, Unlimited-Luxury. Bookmark the permalink. nice resort information thanks for this. i have heard one of the best resorts in wayanad kerala india called tranquilresort. Nice place to stay. Our family was there for 3 days last weekend. Only one setback: we were not adviced at reservation time that to get to some of the restaurants certain attire restrictions are in place. An some of us did not have the proper garments, once we got there. Therefore, we were not allowed in at some places. Please correct this.